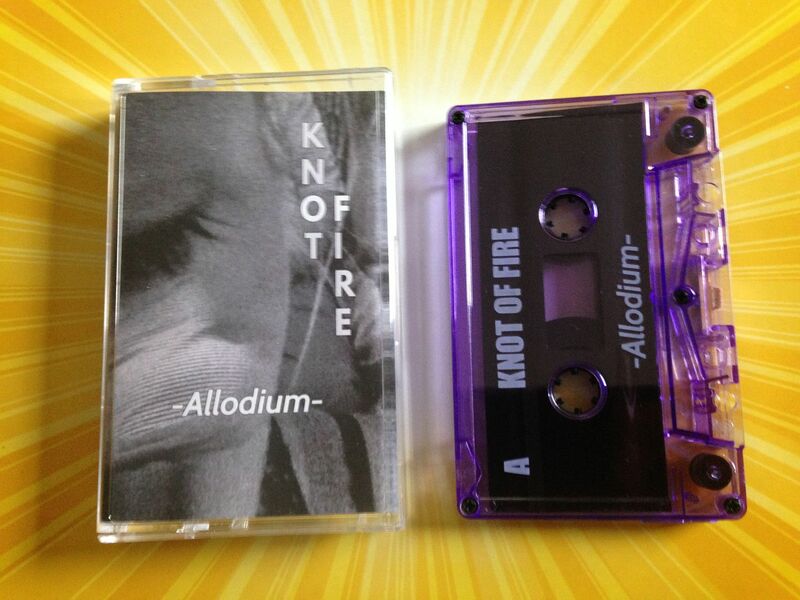 Raised by Gypsies ::: Cassette Review: Knot Of Fire "Allodium EP"
Cassette Review: Knot Of Fire "Allodium EP"
The "Allodium EP" begins with a shaking reverb/feedback type of sound which also brings about this quiet, ambient darkness. As it is somewhat Transformers as it changes it also can have loops while feeling as if it is in the fog. It gets into this nice electronic/trap/grinding type of loop with sounds mixed in which almost sound like moans. 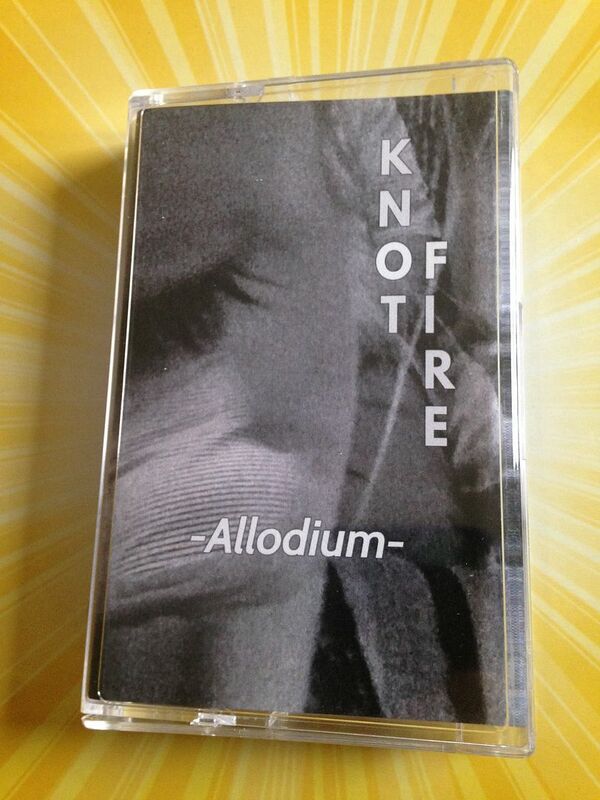 Somehow I hear sounds which remind me of shooting stars and, well, I can't fully explain them but if you were to somehow capture the sound of a shooting star that would be pretty cool so that in and of itself should show you how special this cassette by Knot Of Fire is. 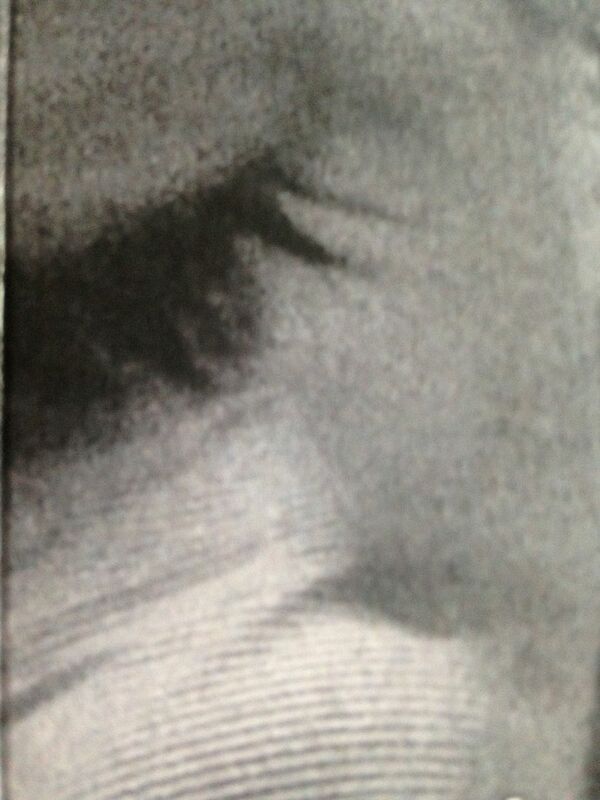 There is an audio clip of poetry and then big distorted beats. It's ambient still, yet has that boiler room/video game feel to it. I guess the two can go together though if you just think about it in the way that if you're playing some video game and not really doing anything, just sort of idling. By the end of Side A I'm hearing something that could either be a musical thunderstorm or one of the first themes for The Undertaker. 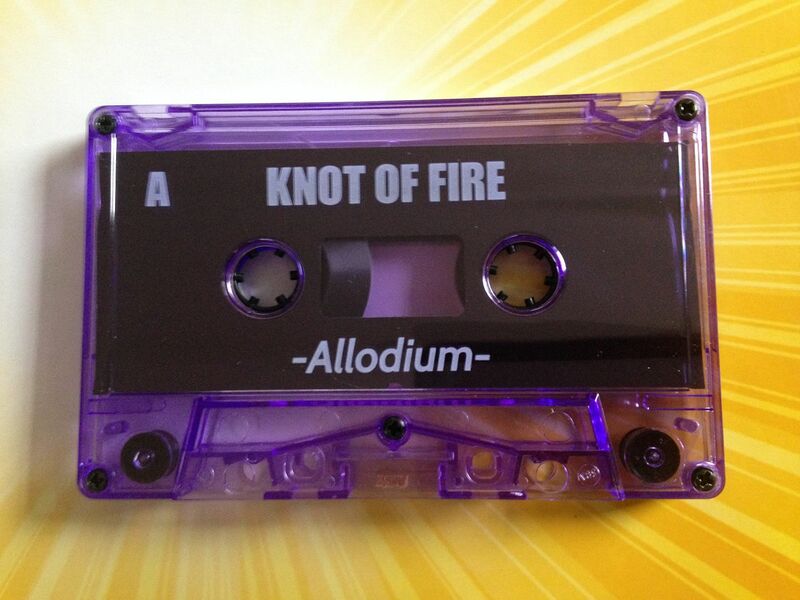 Either way, it seems so far as if this cassette goes from either being minimal or intense without any real in between. Side B begins with harmonies which make me think of the dawn rising and so it is a nice way to begin any piece of music really. There is this almost whistling sound in the ambience of it all. This is followed by the sounds of crickets chirping and then it goes back to the fog. The sound then shifts into something haunted before quieting back down. By the end there is a fairly serious tone and it reminds me of something from "Lord of the Rings". 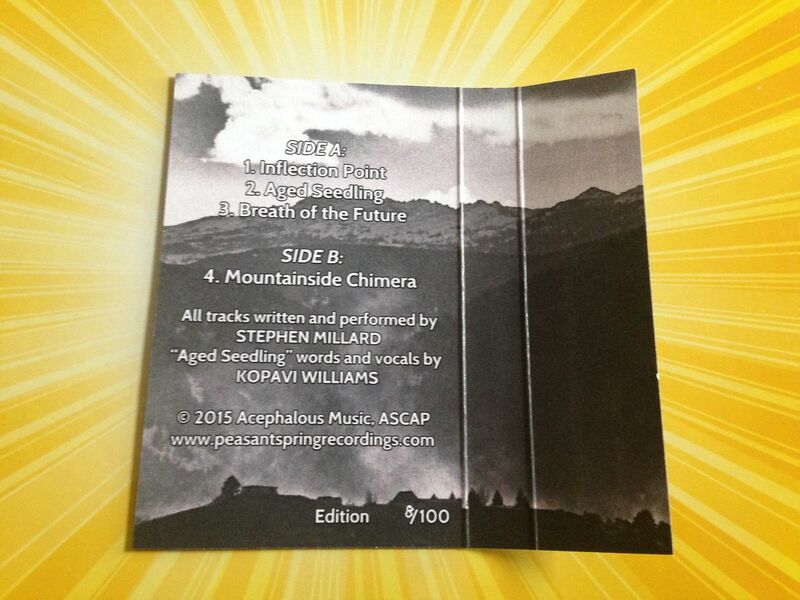 The funny thing is, as this is instrumental, the cassette really feels like something like the "Lord of the Rings" soundtrack, which really kind of is more of a score than a soundtrack in the traditional sense. 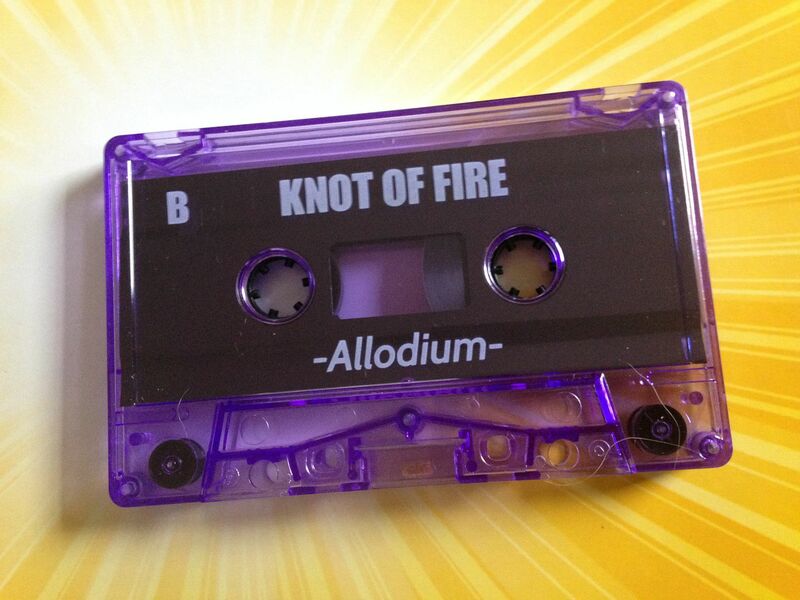 With this spectrum of emotion- the ups and downs, the horror movie vibes and so on- it is fairly easy to sit back and listen to this cassette by Knot Of Fire while creating your own story in your mind at the same time. The elements are all there, like a coloring book full of black and white pages waiting for you to fill in the gaps the way you see best fit. 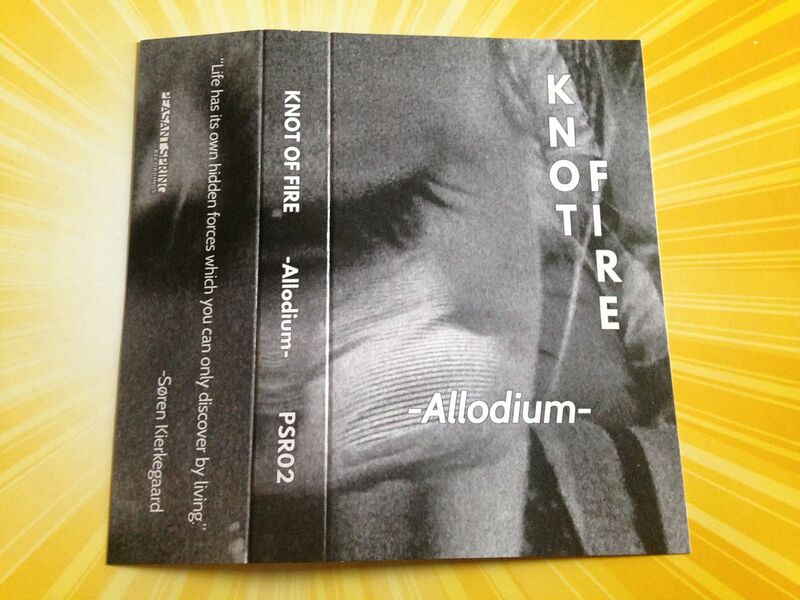 I don't want to really picture an actual knot made of fire, but Knot Of Fire can let your imagination run wild and if you cannot see something in here then you're just not that creative.